In its simple term , is where the assets of a company is managed in a way where it can generate maximum return at the lowest operating cost of the asset. The asset of a company is divided into two ie the tangible asset and the intangible asset. The tangible asset where it can be physically seen such as machines, factory , furniture and etc whilst the intangible is the manpower , investments and goodwill. 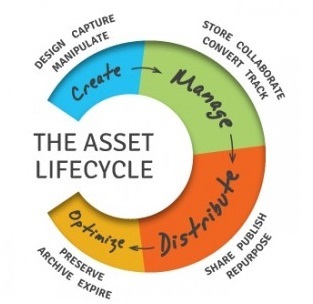 Asset Management is usually done by a group of people who are well-verse in managing company’s asset. They will determine what are the asset that can generate maximum income for the company or their client and which are the asset that need to be disposed off. It is seldom that a company will do their own asset management as the priority is on the company’s operation, running the core business and making money for the company. When the asset management team is hired by a company, the first thing that they will do is to identify the company’s assets and resources. This resources include cash , property, goods ,savings and investments. Then they will identify which asset is profitable and which is carrying cost. Asset that continue to contribute or generate income for the company, the asset management team will not do anything with it. If the asset is no longer making any money then the team will analyse it and making proposal to the company such as whether to sell it off or turn the asset into something that can generate money. Take for example a machine which has been used for quite sometimes, the asset management team will evaluate the machine and identify whether is it worth to repair or upgrade or replace it. There are instances where it is better to buy a new machine as the company may save more money in the long term as against repairing the old machine , the latter will face the increasing cost of repair. The above is an example of a tangible asset of the company. What about the intangible asset such as the manpower. The workers are considered intangible as the company does not own them but still bearing some cost in term of salary and they do generate income in return through their productivity. How the team assess this type of intangible asset ? Firstly, they will make a study on each of the department and the individual before coming-up with some action plan. There are possibility that some of the departments having redundant positions whilst some need additional manpower. When this happen, they will recommend a restructuring in the department and position. This mean that transferring some employees to a department which require additional manpower. There are instances where the department is scrapped totally and integrated it into one big department with many portfolios. Some other action plans are polishing their skills. Put them at a better level and better security. Such action will motivate employee to work harder and this will maximize their output. Apart from assessing the asset, the asset management team will also offer to their client the opportunity to grow their money. This may be investing in viable project or investment such as stock market , oil , golds , bonds etc. If you want to hire an asset management team, do some thorough research and find out if they do have that kind of expertise to make your company grow better. There are many of them in the market that can help you in making your company more efficient. After you have hired them and listen to their proposal , it is best to follow what are their inputs as there is a good chance that your company will continue to grow profitably. But then, the decision is still in your hand and after all you has fork-out some money in-term of fees paid to them.